The Irish Concertina Company was started in 2008 and is still the only Irish concertina company in Ireland. Presently making 2 models of concertinas in a range of exotic woods. • The Clare concertina is described as a mid range Concertina and is designed for the students coming off the beginner concertina. • The Vintage Concertina has singular concertina reeds and is a professional level instrument. 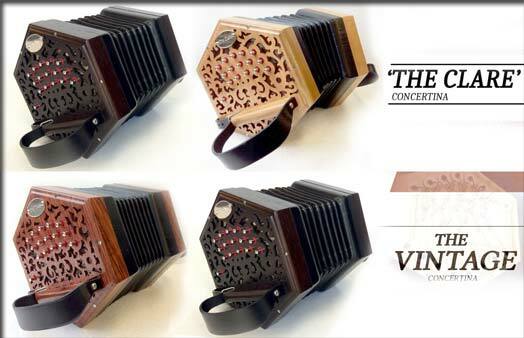 Check out the Irish Concertina Company website for more information on the Clare and Vintage concertinas.